Lavanya Patricella | Do Ewe Knit? 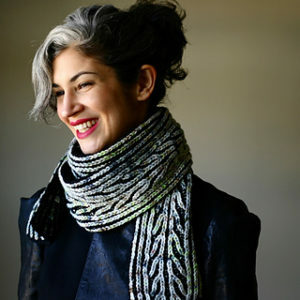 Join Lavanya for an afternoon of knitting and learn the lovely and versatile 2 color brioche stitch. During the 3 hour class you will be taught the basics of the brioche knit and purl stitch, how to read a brioche pattern, how to count rows, how to count stitches, measuring gauge, and how to fix up and identify common mistakes, while I guide you through an included cowl pattern.